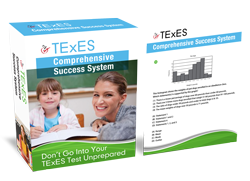 TExES practice is defined as an interactive exercise that develops more effective test taking skills and test content mastery, thereby improving exam performance. Knowing the test content in your TExES study guide is not enough. TExES practice tests can improve your ability to take the exam independent from knowledge of the test content. The Texas Examinations of Educator Standards preparation material forces you to show you can apply your knowledge to different situations and applications. You can’t completely replace the study of test content, but test prep tips below will help you extract the maximal amount of points from each study session. Get access to sample questions that cover the outline provided online by the official ETS and SBEC developer’s and administrators. Find out if your college’s department of education offers any free interactive practice tests for the TExES online or offline. The University of Texas administers a TExES practice exam to its current education students. The West Texas A&M University charges test takers $20 per exam. The Texas Women University, which offers “Representative Forms” exams with questions coming from the same question bank of the real test. Periodically check the TEA website for interactive practice tests questions. “Interactive TExES practice test questions,” means you go through the testing experience with practice questions that represent type of questions at the same level of difficult as the actual exam. On completion you should review both correct ad incorrect answers. The Official TExES website provides some practice tests for free. Use Praxis II sample tests as a substitute when you can’t locate resources specific for the TExES exam. Many test takers have attested to using Praxis exam guides to help them pass. After all, Math, English, Social Science, Science material for teacher certification isn’t much different in one state vs. the other. If you really can’t find materials, then you could create your own test practice materials from various online sources that follow the official developer’s framework. The best TExES study guides come with a full length practice test. You can easily find TExES practice materials in the bookstore like Barnes and Noble. However, the reviews of large practice exams in most widely-used study guides horrible. There are many complaints by Texas education students and current teachers. The criticisms in the complaints state popular study books have typos, incorrect information and don’t cover the real test. Use Texas Examinations of Educator Standards quizzes that mirror the wording and types of questions on the real exam. Get TExES practice tests that closely reflect questions on the actual exam. This way you concentrate your limited exam practice time on content and test questions that: 1.) Accurately cover the tested content knowledge 2.) Are at same level of difficulty as the actual exam. Make sure the TExES practice questions you buy covers the official Texas Examinations Of Educator Standards framework. Go to the official administrator’s outline of your test online and make sure your practice exam hits the major competencies tested. Further, the official site has sample questions that represent the types of questions, wording, difficulty of the questions and answer choices you’ll encounter. Use this to gauge if your study guide has sample questions that are too easy or not written like the actual exam. Use testimonials, reviews and recommendations from others who passed your specific exam to locate effective preparation materials. Other education students, teacher colleagues and online reviews are good sources for advice when choosing what books and sample exams to buy. Take TExES practice test questions before you start preparing. This will be an eye opener. After doing this exercise, pinpoint content you’re weak in. Analyze the types of practice questions you got wrong. Determine what larger and smaller subsections of your exam you need to focus your time and energy on. Take a full length TExES practice exam each week. This will help keep you be aware of where you improved. You’ll clarify what areas need more time and focus in your test prep. You’ll avoid wasting hours of study time in subsections of the exam that may only marginally improve your score over additional hours or days of study. You’ll see what parts of the exam you can beef-up quickly with minimal time invested. Taking practice exams helps you pinpoint where you need to improve your test taking skills. Calculate how much time you have for each question based on the total time you have to finish the exam divided by the amount of questions. Then allocate some miscellaneous time at the end to back over questions you didn’t know and skipped. Always time yourself while taking practice tests. See if you’re reading and answering questions at a pace that will allow you to finish on time. If not make adjustments in your pacing. Speed up or slow down where needed. Test anxiety causes some test takers to panic, blank-out and make foolish mistakes. You can dramatically reduce test anxiety with the following technique. Close your eyes. See and feel yourself in the testing center. Breathe deeply and slowly. Calm your mind, body and focus on your breathing. Open your eyes imagining you’re in the exam relaxed, taking the test calm, relaxed, confident and in peak performance mode. Continually breathe deeply, see and feel yourself answering the questions correctly and being calm and relaxed. Do this over and over again until you have totally reconditioned your nervous system and eliminated test anxiety. Interactive exam practice helps you review, clarify what you already know, plus learn new content knowledge. Just make sure your TExES practice test questions have full answer explanation and rationales. Knowing why your answers wrong and the rationale for the right ones will help you learn, review and master the test content. Don’t go into the test center cold. -That’s a huge test prep mistake! The time you’re given to given to take the TExES exam is short. The last thing you want to do on your testing date is struggle while getting acquainted with the instructions, format, types of questions and the way answers are formatted. Get as familiar with all these items as early as possible during your TExES test practice and review. TExES practice helps you get familiar with the format, structure and wording of real test questions. Being familiar with the types of questions, answer structures and formats will give you an ‘unfair advantage’ and improve your score quickly. Not being familiar with this assessment beforehand creates stress, confusion and channels your mental energy and time away getting answers correct. Quality TExES exam practice simulates the test taking experience. A test prep provider that teaches you how to decode test questions and determine the answer when you don’t know the answer will turbo-boost your score to passing level. Teaching Solutions provides proprietary techniques to figure-out the answers to many questions when you don’t know the correct answer.